That post is due for a long time. 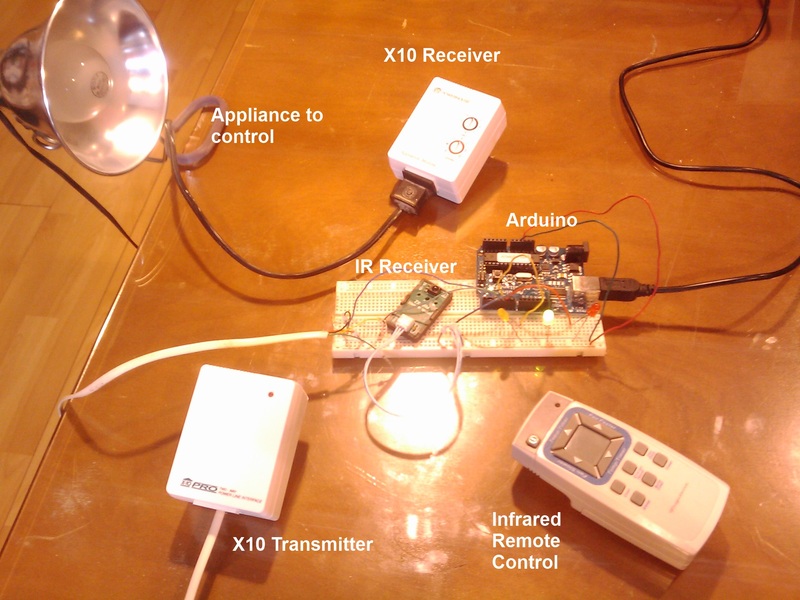 I’ll continue with the infrared project and add control of X10 devices in your house. Don’t know what X10 is? Click here to learn more. The code in this post is not much different than the code presented on part 2 of this series. In addition to controlling red, green and yellow LEDs, we will control your home appliances. To do so, you will need two new parts, the X10 transmitter and an X10 appliance receiver. Simply Google “X10 devices” to find stores selling these in your area. You connect to the X10 transmitter using a standard telephone cable. Make sure you use a 4 wires cable. Many phones are sold with two wire cables. Keep one connector to connect to the transmitter and strip the wires on the other end to connect to your circuit. 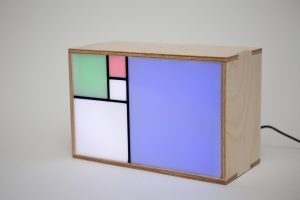 The complete circuit should be wired as following. 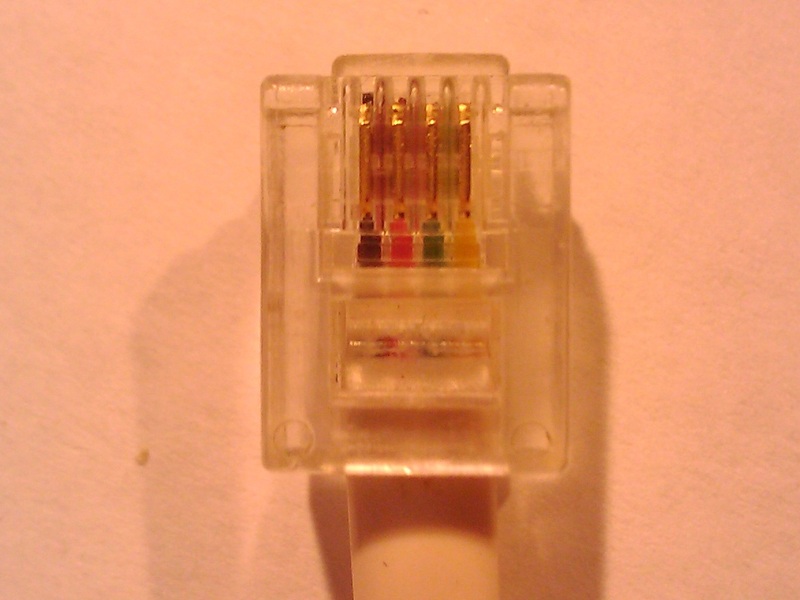 The black wire (pin #1) should be connected to a pull-up 10K resistor and the red wire (pin #2) to the ground. 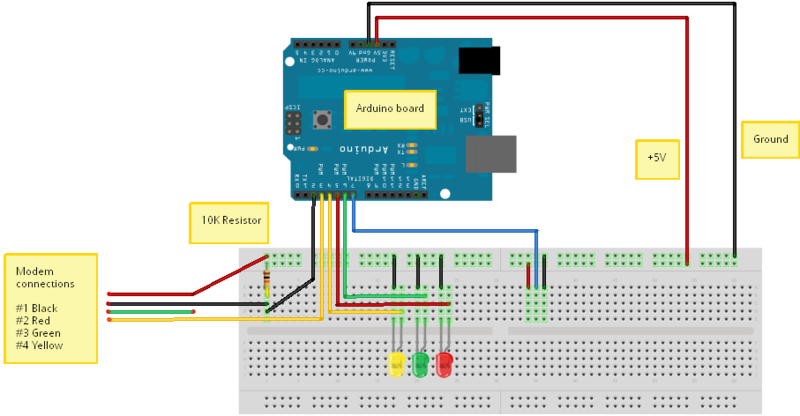 The yellow wire (pin #4) must be connected to the output signal pin of the Arduino board. 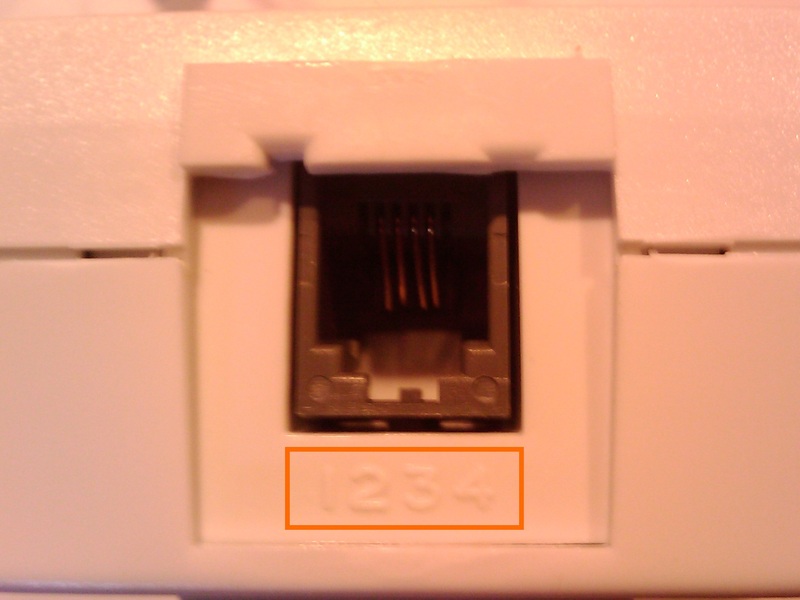 Finally, the green wire (pin #3) of the modem is not connected.